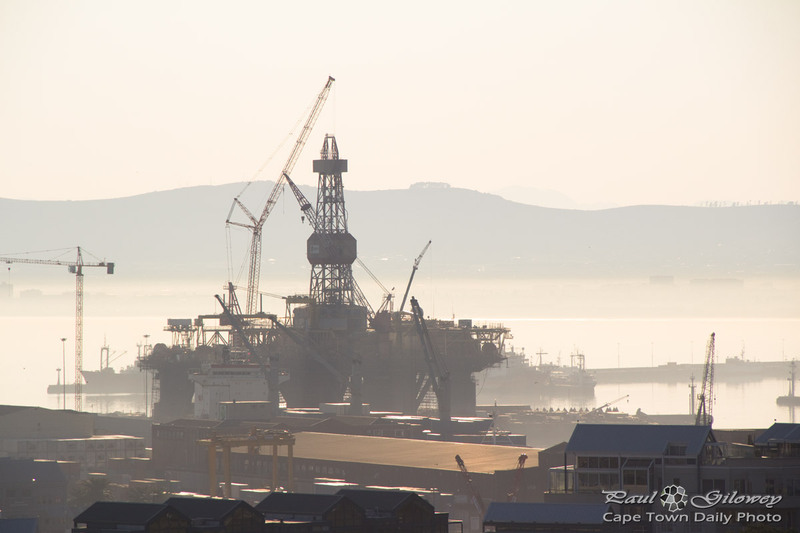 Posted in General and tagged harbour, oil rig, silhouette on Wednesday, 16 April, 2014 by Paul. 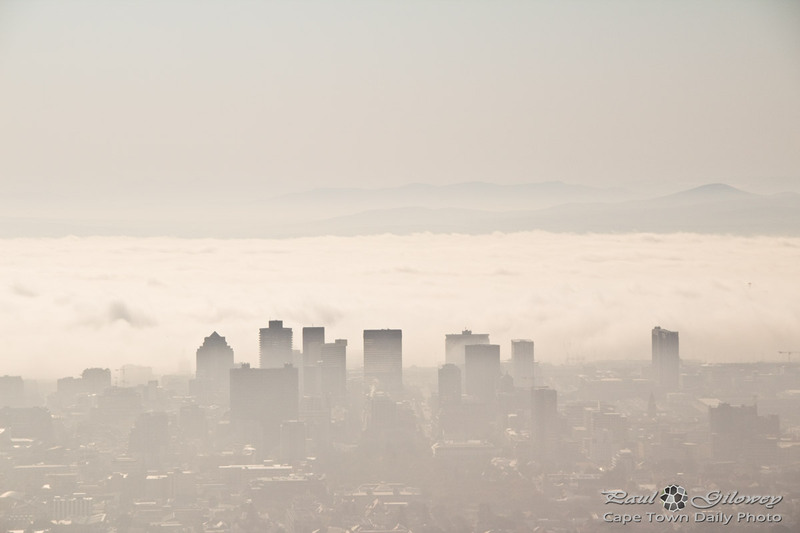 Yesterday's photo showed the city center, with a large low-lying cloud bank crawling in from Table Bay. I walked along the edge of Signal Hill from the spot where I took that photo until I could see more of the harbour. Well, "see" is a stretch - all I could see was the top of that oil rig (looking a little like an alien space ship) rising up from beneath the cloud. There are a few great places to walk along the slopes of Signal Hill, but do be careful and hike in groups - I imagine remote spots like these could be perfect for muggings. 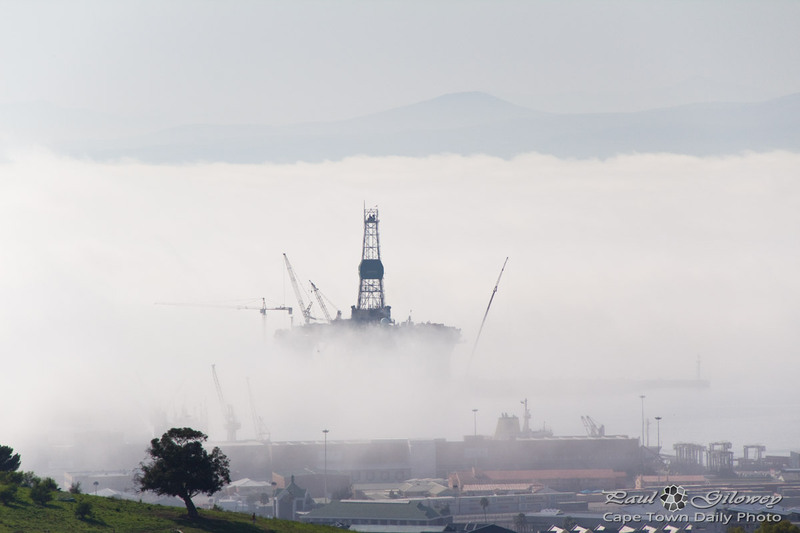 Posted in General and tagged cloud, harbour, oil rig on Sunday, 17 June, 2012 by Paul.